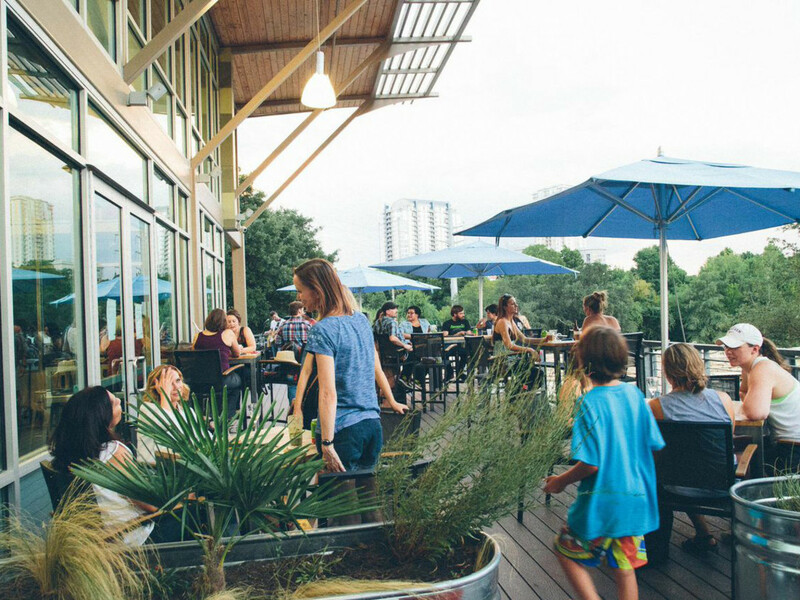 Every month we share our picks for where to drink in Austin. 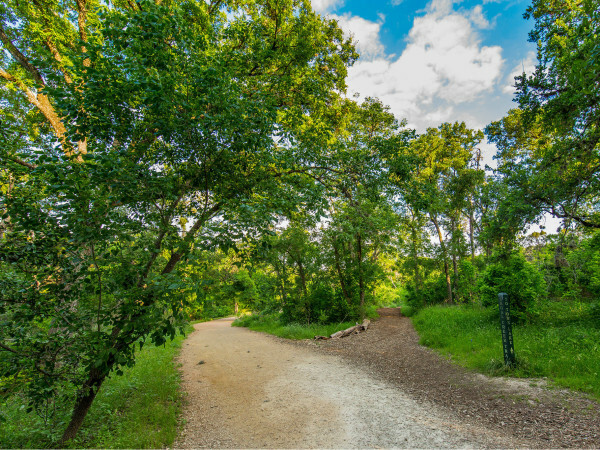 With summer approaching, we're thinking as much about the views as we are the drinks. 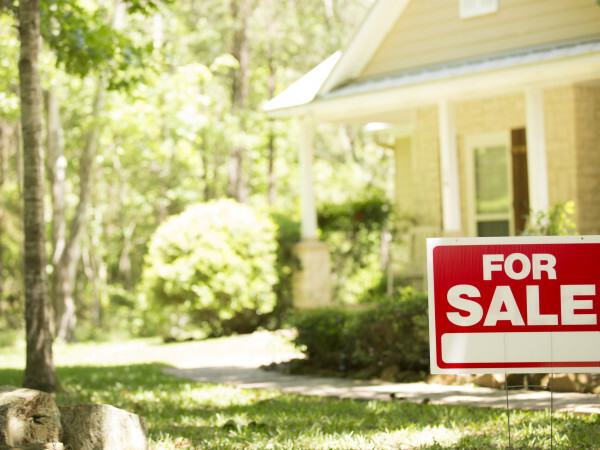 Enjoy scenic sips at these hot spots with amazing vistas. 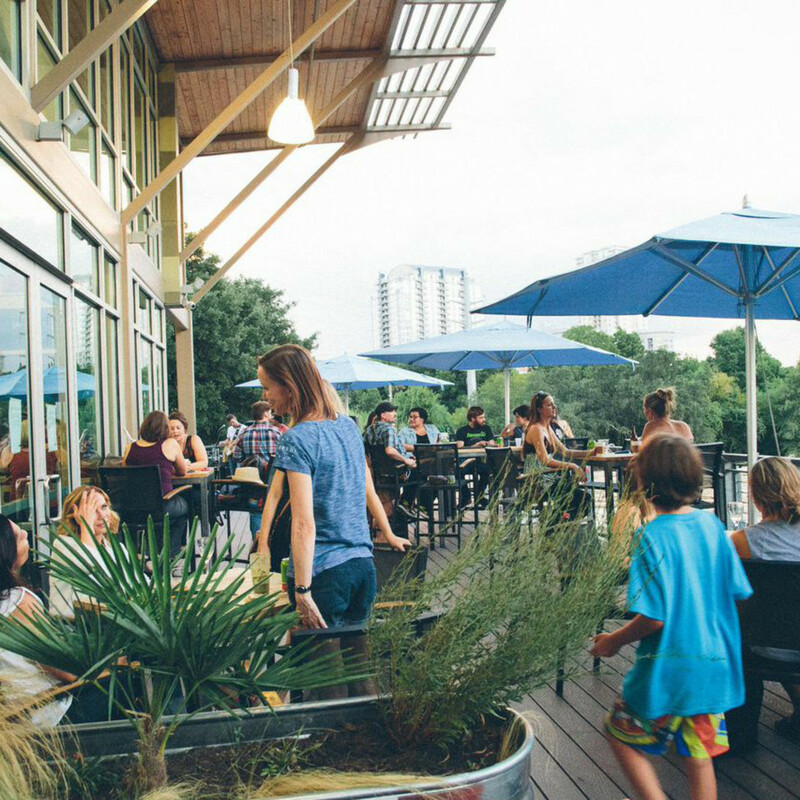 This gorgeous hangout offers unparalleled views of Lady Bird Lake. 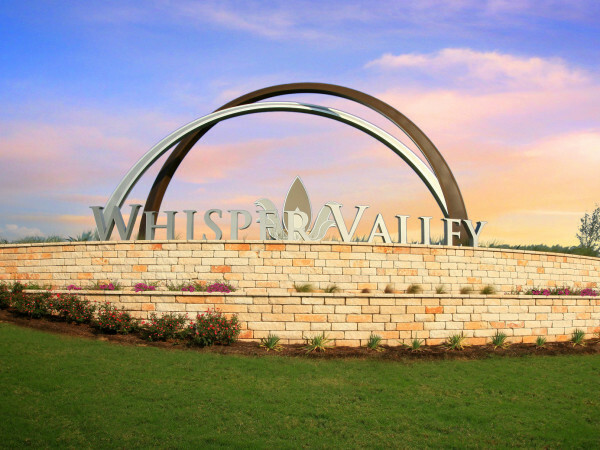 Coffee and wine are the standouts here, but there is also a stellar selection of craft beer. Sandwiches, salads, and snacks fuel your drinking session on the outdoor patio. The newest concept from the drink.well. team offers cocktails, a curated wine list, craft beer on draft, and a unique champagne program. 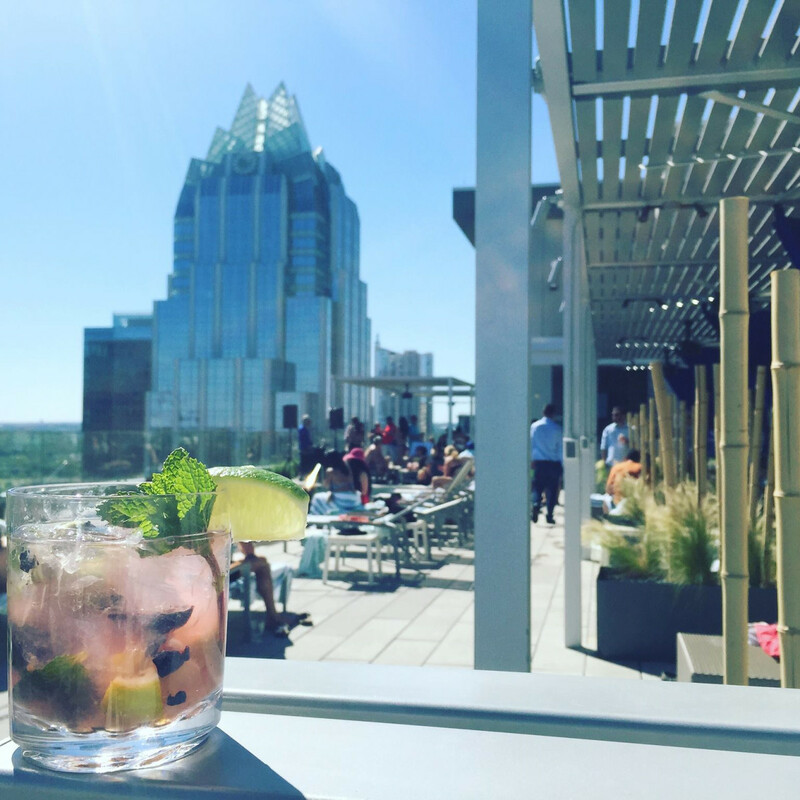 The rooftop seating gets our hearts pumping: Enjoy an al fresco drink with downtown Austin in the background. West Sixth has a new drinking option, although it may seem familiar to some. The old upstairs portion of Benji's Cantina has been taken over by a bar called Green Light Social. 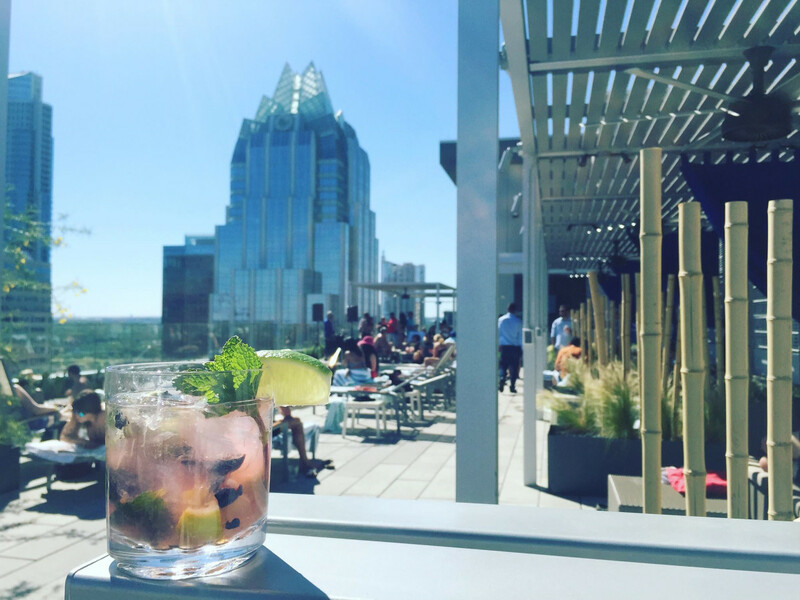 The rooftop view is the reason to check it out, but the cocktails will coax you to stay awhile. This joint has an impressive lineup of signature drinks — try the seasonal peach cobbler martini or the watermelon margarita — that pair well with fried chicken and the unbeatable lakefront views. The reincarnation of Lustre Pearl lives up to the original Rainey Street bar. 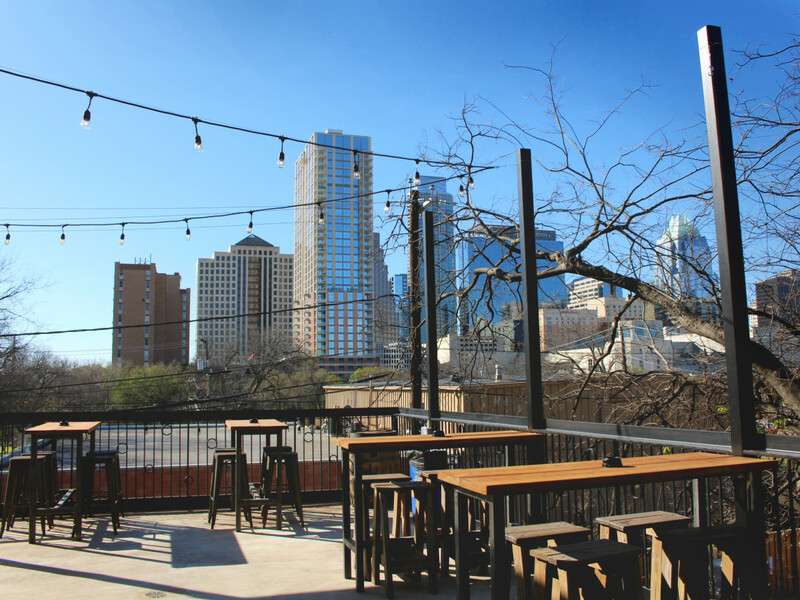 We love the look of the space, the abundant seating, and the familiar cocktail lineup, but the real stunner is the rooftop patio and bar, which boasts a fantastic view of the Austin skyline. 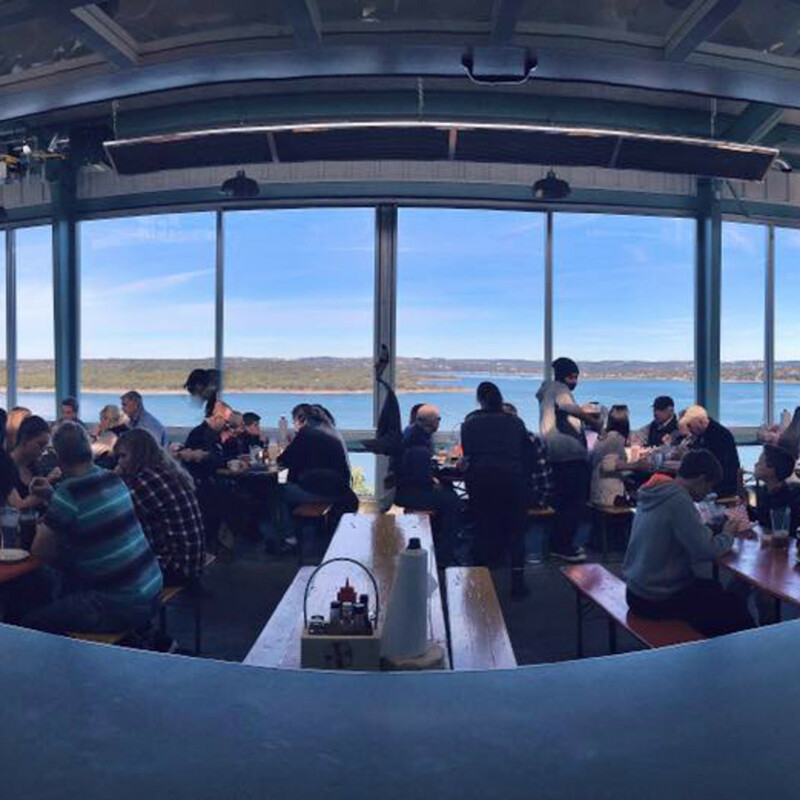 This craft beer spot overlooks Lake Travis, with a rooftop bar to boot. 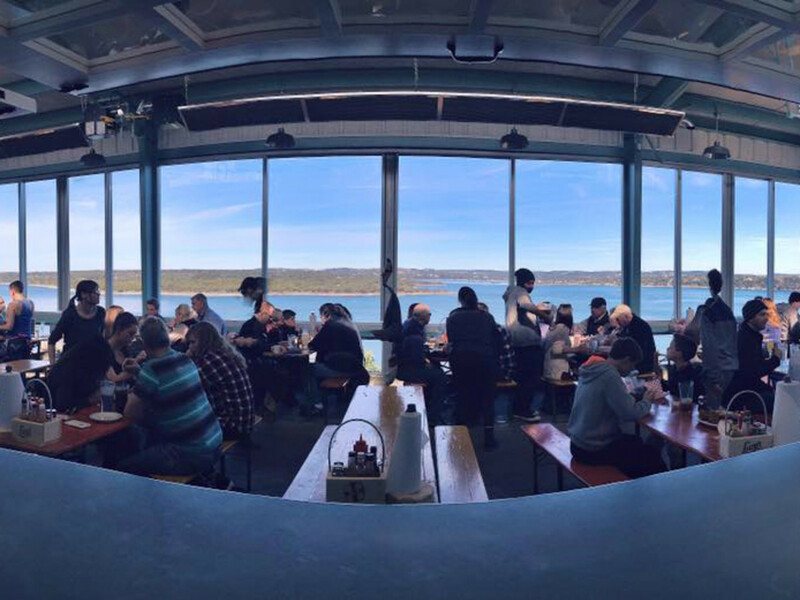 The lakeside deck is the perfect place to kick back with some brews, especially during the warmer months. Open Thursday through Sunday, the tasting room features regular live music and fun events in addition to craft beer on tap. 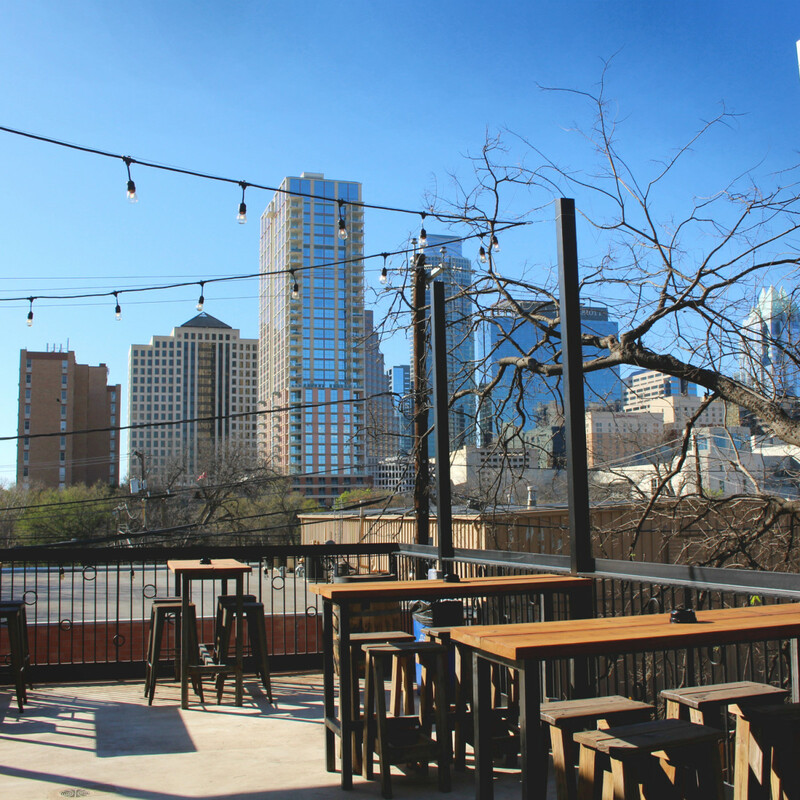 There is lots to love about Red's Porch, including the upstairs patio, which offers an uninterrupted view of Austin. Red's has a full menu of tasty cocktails made from favorite Texas liquors, but beer and tequila are the real stars here. Enjoy daily drinks specials from 11 am until 7 pm.